Looking For Advanced Excel Course Online Corporate Trainer ? HomeVideos & BlogsBlogWhich is the best Online course for Advanced Excel? Which is the best Online course for Advanced Excel? 30-days money back policy. No questions asked. Example 1 – ARRAY FORMULAS. Array formulas are one of the most powerful data analysis tricks that Excel has. It is like creating your own formula from thin air. I sometimes refer them as “synthetic” formulas. They get activated through the special shortcut combination of “Ctrl + Shift + Enter”. Excel version 2013 and below do not have formulas such as MINIFS and MAXIFS. Even Excel version 2016 can’t help you with data analytics functions such as SMALLIFS, LARGEIFS, STDEVIFS etc. – they don’t exist. Period. Example 2 – DEPTH OF LOOKUP FORMULAS. The top five lookup formulas which are MUST-KNOW for an above average Excel user are VLOOKUP, MATCH, INDEX, SUMIFS, and COUNTIFS. Add the power of IF and INDIRECT functions, and they become “Super” formulas. A good Advanced Excel tutorial will teach you topics such as a two-dimension lookup using VLOOKUP and MATCH, reverse lookup using INDEX and MATCH. However, the BEST course will also teach you how to apply three dimension lookup using VLOOKUP, MATCH, and INDIRECT. Does your excel online course teach you how to write COUNTIFS function to calculate a running count in a list of duplicate values? 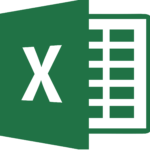 Does your course teach you how to write SUMIFS function to calculate a running cumulative sum in a list of duplicate values in excel 2016? Beyond these, there is a formula called OFFSET. It allows you make the range dynamic and is often used with MATCH. It helps to increase excel skills & master excel, does your course even mention it? A lot of online courses teach you the basics of “Go To (Special)” technique. Did you know you can add the shortcut key of “Ctrl + Enter” to help do manual tasks in seconds? Does your course even mentions the MOST POWERFUL data cleaning trick as released in Excel version 2013 – FlashFill? How can you round down a number to the nearest dozen (12)? Do you know how to remove asterisk (*) from a data set using “Find and Replace”? Does your course show you how to combine “Consolidate” and “Text to Columns” technique to perform a 3-dimension data consolidation? “Data Tables” technique of “What if Analysis” section by nature can display one variable as an output. Did you know you can use the INDIRECT function to make it multi-variable output table? Does your training video have tricks such as formula-based conditional formatting in excel 2007, excel 2010, excel 2016, generating 1000+ worksheet report in under a minute using Pivot Table and many such tricks? #2: Know the Trainer before you commit your time to his videos! You will be spending so many hours in learning from the Microsoft office video lessons. It’s important that you choose your mentor-trainer carefully. A voice-over artist cannot do full justice to the topics discussed as he simply reading the text script. He doesn’t know the importance and context of any topic. Getting trained from trainers who have taught ONLY through online videos will be limited in scope. If a Trainer has taught thousands of professionals in LIVE classroom training sessions, he/she gains the experience to anticipate the common FAQs and bottleneck areas of learning which help to know them from top universities. This experience reflects in his online videos. Above all, the voice and communication skills should be engaging and not “preachy” or boring. Buying an excel online course and starting to learning from it is one step. Equally, an important step is to get queries resolved. My team helps you with that. Email at hello [at] yodalearning [dot] com to get help in solving our queries. #4: 30-days money back policy. No questions asked. I keep my life simple. If my course doesn’t add value to your learning, please ask me for a refund within 30 calendar days of subscribing to the course. No hidden conditions. No questions asked. By now, you are trying to guess the course price. Call us at + 91 8080042453 or fill up the Enquiry Form. call us at + 91 80800 42453 or email us at hello [at] yodalearning [dot] com or fill up the Enquiry form.